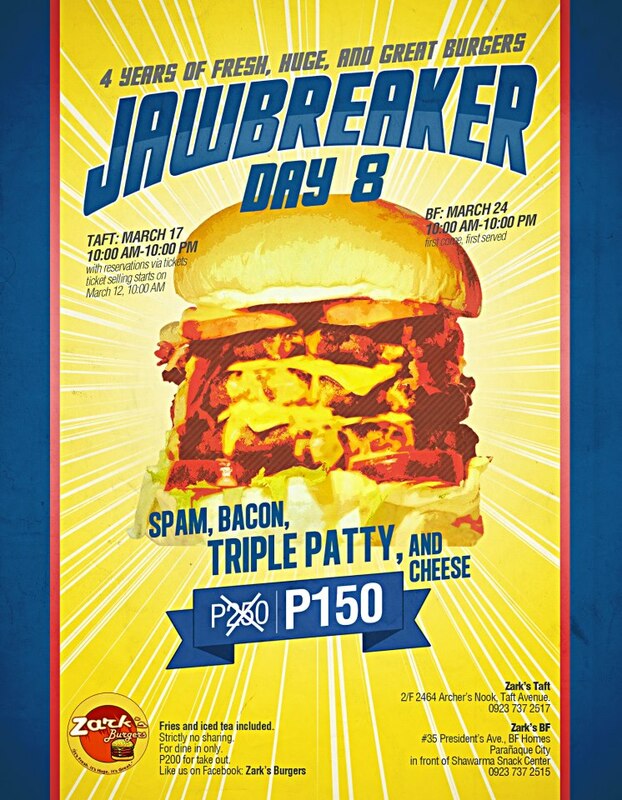 The Food Alphabet and More: Jawbreaker day 8!!! Coming at you! Jawbreaker day 8 at Zark's Burger! Expect long lines, expect high energy, expect great food! Have a shot at Zark's Burger Jawbreaker day 8!!! With 3 layers of beef patty, spam, bacon and loads of cheese!! Tickets for Taft branch starts selling on March 12, 2013 at Zark's Taft, and at Zark's BF First come, first served, for only P150.00! Fries and iced tea included! Celebrating Zark's 4th anniversary, come join in.